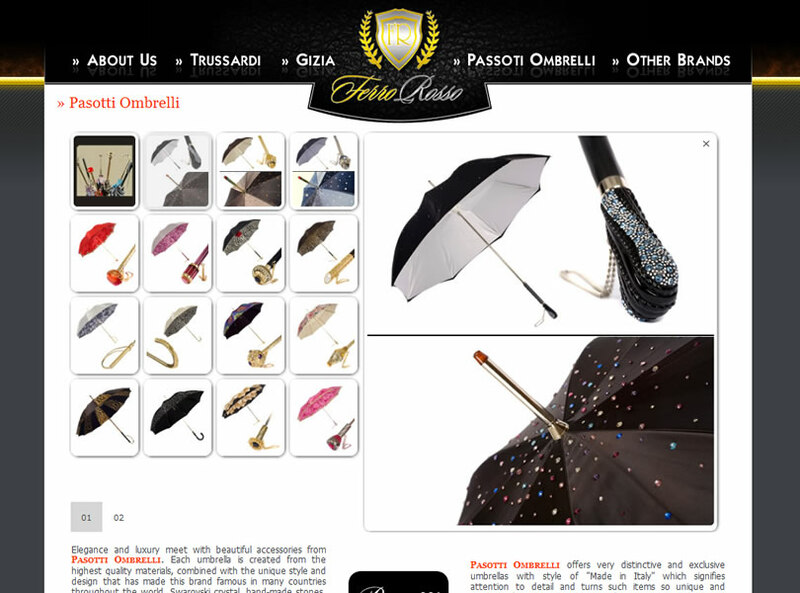 Task:Create an elegant website with aristocratic style for a distributor of European high fashion brands. Entice website visitors with luxury and lifestyle products including apparel, accessories, and eyewear. SOLUTION: Artisan Productions sets its own style with its recent high-end website release. The broad colour palette explores the range of beige shades alongside the timeless classics. The true signature of the website is the leather texture. You will find genuine leather everywhere - in design, on photographs and even on the backgrounds: fading sheepskin, python skin with diamond patterns, finest ostrich leather. 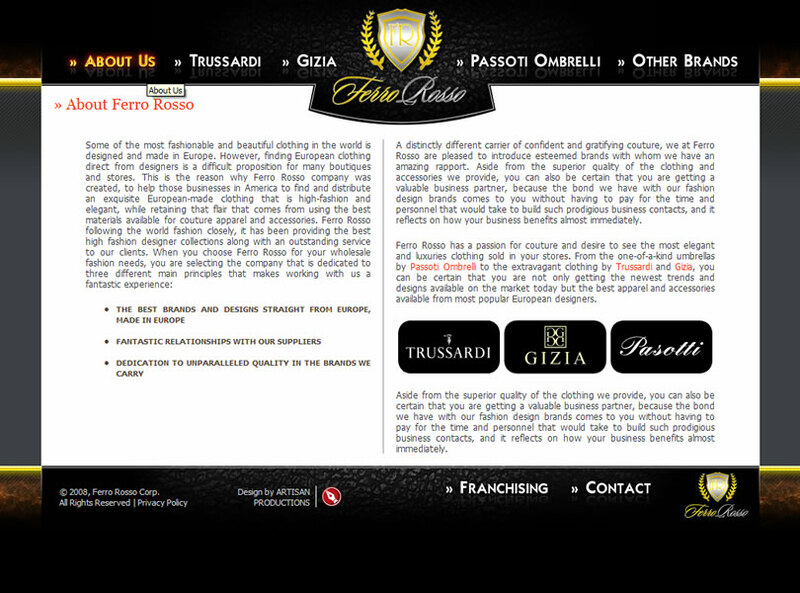 Ferro-Rosso is a virtuoso exploration of textures, colors and unique blend of fashion trends.